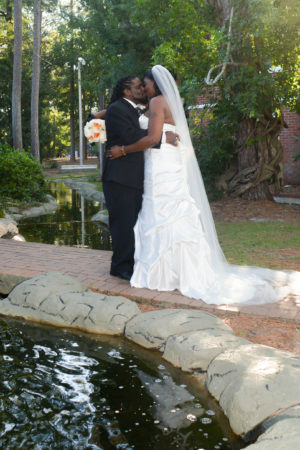 Calesha Aletha Carter the daughter of Bobby Lee and Gloria Scott Carter of Eastover, NC and Tero Antwan Kirk the son of Tero Arthur and Joann Priscilla Kirk Jr. of Hope Mills, NC were united in marriage on September 3, 2016 at Wedding Chapel by the Sea, in Myrtle Beach, South Carolina. Rev. Pam Muise officiated. Daejah Chanel Kirk served as flower girl and DeMarion Dixon served as ring bearer. A reception at Sandcastle Oceanfront Resort South followed the ceremony. The Bride and Groom enjoyed a honeymoon in Carolina Beach, NC.